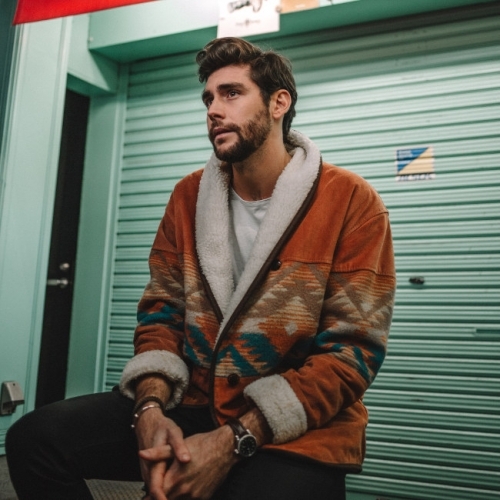 With over 2bn combined audio and video streams and more than a million album sales, Spanish-German singer-songwriter Alvaro Soler has certainly created a buzz in the European charts and Latin American markets since he released his debut single, El Mismo Sol, back in 2015. Last September, he dropped his second album Mar de Colores (Sea of Colors), which went into the Top 10 in more than ten countries and its most recent hit single, La Cintura, reached triple platinum in Spain and Italy as well as gold in Germany and Austria while also entering the Top 40 on Spotify’s Global Charts. With smash hit written all over it, Loca is Alvaro’s new single and was immediately added to 27 Spotify New Music Friday playlists upon release last week. It’s a seriously addictive earworm, with infectious beats, Mariachi trumpet lines and La La Land inspired piano motifs, which will have you grooving along in no time and joyously singing out loud in Spanish to its chorus. Bound to be played in clubs, bars and venues across the world well into the summer months as well as feature on pop/feelgood playlists, this is quite simply going to be a massive streaming hit and with nearly 5m monthly Spotify listeners, it wouldn’t surprise us if this flies up its viral and global charts over the coming weeks too. In April, Alvaro will release a repack of Mar de Colores featuring Loca, before heading off on a 17 date European tour in May. No London date as yet but let's hope this is remedied soon and UK radio starts to give this upbeat and brilliant single some airplay.